In many denominations of the Christian Church, a Church usher (not to be confused with church greeter) is responsible for seating guests and maintaining the order and security of services. What is the job description of an Usher? How do you become an effective usher in the church? Do's and Don'ts of Ushering. 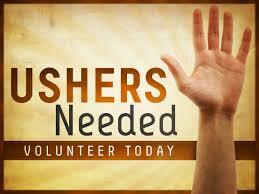 On January 19, 2014, ushers from twenty-three New York churches met and organized the first Church Ushers' Association. This was to promote and develop a kindred Christian fellowship through ushering in the various churches represented in the association. Since then this idea has spread throughout the United States. Today, it has become an independent organization. This organization was the outgrowth of informal discussion which had been going on since March, 1910, with the thought that exchange of ideas on church ushering and ushering at public meetings with a religious purpose, was an important factor in the religious metropolis. "In the name of the Father and the Son and the Holy Ghost, Bless O Lord, this Thy servant, as Thou didst bless the son of Levi who ministered in Thy Holy Temple, and grant me devoutly to minister in Thy house and Thy name be hallowed; Thy Kingdom come, and Thy will be done; through Jesus Christ, Thy Son, our Lord, Amen. The Lord is my light, He is the joy of my salvation, of whom then shall I be afraid. I am a doorkeeper in the house of the Lord, Yea, though I meet with unpleasant conditions, I must keep smiling, for I must enter into His presence with thanksgiving and into His courts with praise. Yea, though I walk through the shadow of kindness, I must smile, for the beauty of the Lord is upon me; my countenance is filled with light, the light of love, patience and endurance, i shall strive to give joy to the sorrowful, hope to the lost, sunshine to the darkness, and I shall remain a doorkeeper in the house of the Lord as long as I live. 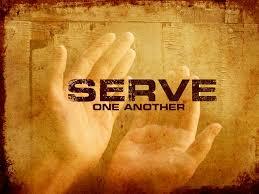 To serve the Lord Jesus, through the service they reader to humanity. I pledge by the help of God to do my best to serve my church with a pure heart, clean hands and a breath that will not be offensive to those I welcome into the house of the Lord. I further pledge to abide by the rules and regulations of the board and my superior officers; to attend my meetings and serve when called upon, unless I can give a reasonable excuse; and to keep my financial obligations of the board as near as possible.